It’s hard to be number one. It’s hard to get there, and it’s hard to stay there. It’s true whether you are talking about sports, business, or how well your website shows up in search results. Most websites rank somewhere between 40 and 50. Anything between 50 and 60 is considered pretty good, and over 60 is considered excellent. The tricky part is that it’s a logarithm, meaning that the higher your score is, the harder it is to improve it. We score Domain Authority on a 100-point, logarithmic scale. Thus, it’s significantly easier to grow your score from 20 to 30 than it is to grow from 70 to 80. If you are curious, you can check your Domain Authority here. The point of all this talk about Domain Authority is simple; this article is about the “low hanging fruit” mistakes in SEO. These are mistakes that will keep you from reaching a Domain Authority of 25, not 75. If you have a well-established website with a pretty good Domain Authority, there is nothing that will help you raise your search engine profile outside of the elbow grease necessary to build, maintain, and grow a strong website. So, with that in mind, let’s make sure you’ve got your SEO basics covered. Every page on your website should have a unique title and description. These are two important pieces of information that search engines use. The title of a page is an important factor in how search engines determine what a page is about and the description is displayed in search engine results below the page title. These two items are also nicely aligned with the theme of building a strong website. These two items are used in everything from how the page is displayed on your browser tab, to what is displayed when you share a link on social media. Be realistic in the keyword phrases that you target. Remember that you are not the only website that wants to be number one for any given keyword or phrase. The likelihood is that there are websites out there competing for the same keywords or phrases as you that have been at this a lot longer than you. If you operate a flooring company in the Plano suburb of Dallas, Texas don’t try and optimize your site for the keyword “flooring company.” That is a nationally competitive keyword and one that you are likely not going to rank well for, local results withstanding. Instead, opt for the more appropriate and less competitive localized keyword “flooring company Dallas,” or better yet “flooring company Plano.” These keyword phrases will have significantly less competition giving you a much greater chance of showing up well for relevant searches. There are not many constants when it comes to the internet. Things change quicker than just about any other arena in business. There are two things that have remained the same since early in the days of Google, though. The first, content is king, has always been king, and will forever be king. Content is the backbone of the internet. The internet, for the most part, is just a giant content delivery machine. Whether it’s informative, entertaining, or somewhere in between, your content must be good to get delivered. The second, backlinks matter. 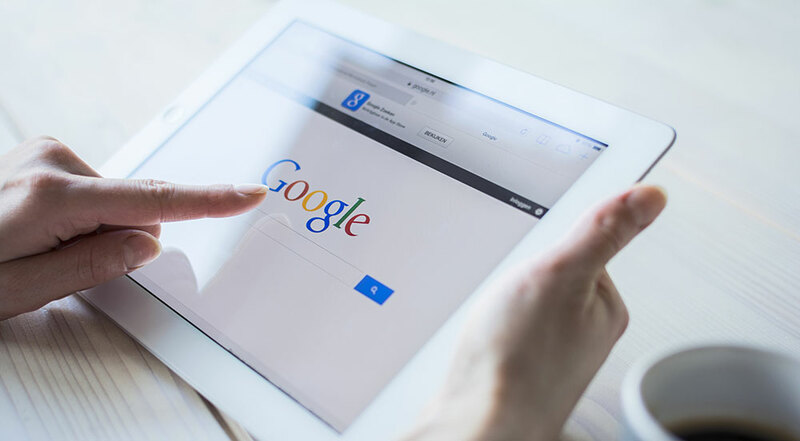 Since the early days, Google has looked at the number and quality of websites that link back to your website as a factor in determining if your website is good enough to return in their search results. If you want websites to link to yours, you need to create content that’s worthy of a link. When it comes to content, it’s important to remember that the whole point of SEO is to bring more people to your website, but don’t lose sight of the bigger goals. Don’t neglect to put as much effort into keeping them on your site as you do in getting them to your site. The internet has become a visually stunning experience in many ways. Our ability to use images to create beautiful websites has come a long way. Using images in your designs has huge upsides from a human perspective. They engage people, draw them into your content, and often help to convey your message or explain complex concepts with ease. However, images are virtually non-existent to search engines unless you explain to them what they are. Ensure that all your images have alt tags that contain descriptions of the content of your images and include relevant keywords where appropriate. One of the lowest hanging fruit on the SEO tree is optimizing your site for local search results. Tying your website to a physical location helps your website show up for searches that are local to your area. Optimizing locally may not be a high priority for sites that operate nationally, like eCommerce websites, but for most small to mid-sized businesses getting listed in local results is a great way to get on the search results scoreboard early. We’ve discussed this in our post on how to get your business online in 5 steps, but the most important way to optimize locally is to submit your website to legitimate local business directories and mapping sites like Google My Business. Once you have a listing on Google, work to build that presence with images and reviews. Adding a reputation management system into your marketing mix is a great way to grow your business’s online reputation effectively. Not working to fool or beat Google’s algorithm is a point that we discuss early and often with our prospects and clients. It’s incredibly important for you to understand that, at the end of the day, Google only cares about one website… Google. Google’s business is built around providing people who are searching for things with the best results for their searches. There’s a reason we say, “I’ll Google it” and not “I’ll Yahoo it” or “I’ll Ask Jeeves it.” Google won that battle a long time ago, and they did it by returning better search results. Over the years there have been countless ways to “beat the system.” There have been ways to cut corners and get higher rankings quicker, and sometimes they worked, at least for a little while. One thing always holds true, these ways of gaining an advantage always stop working. Google will find a way to block or even penalize the loophole that you have found, so just don’t do it. People expend so much energy and capital chasing down SEO ghosts and myths and never see the kind of results that they want. Imagine if they just spent the same energy and capital building, maintaining, and growing a high-quality website. If you cut corners you may see gains in the short term, but not the long term. And when it comes to SEO, the most successful websites are the ones that play the long game, not the short. If you’re just starting out with your SEO strategy or have recently launched a new website, fixing these common mistakes could mean serious gains for your organic reach. SEO for new websites can provide significant short-term results. If you have a solid foundation but haven’t yet seen the SEO results that you hoped for, experienced SEO companies in Houston like MARION Integrated Marketing can help. Regardless of what stage you are in with your SEO, always remember that if you are imploring an SEO tactic that is counter to building a website that is engaging for its users, you are probably not working with an SEO strategy that will work on the long term.